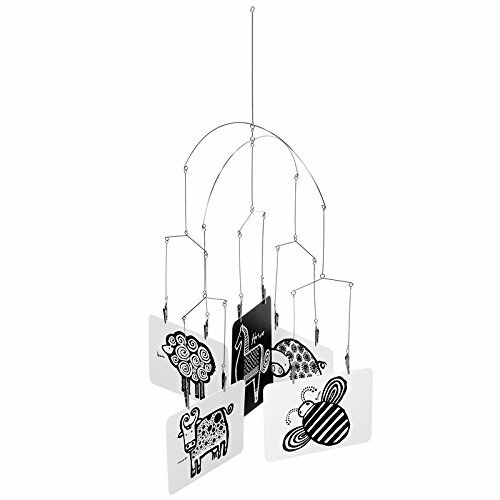 Use this modern and minimalist mobile to display photos and images of your own, then play: “Who loves baby? Mama does! And here’s Daddy, and Grandma…” or enlist it to showcase Wee Gallery’s adorable art cards. You can choose from a selection of cards with elephant, bunny, zebra, dog, owl, stars etc. 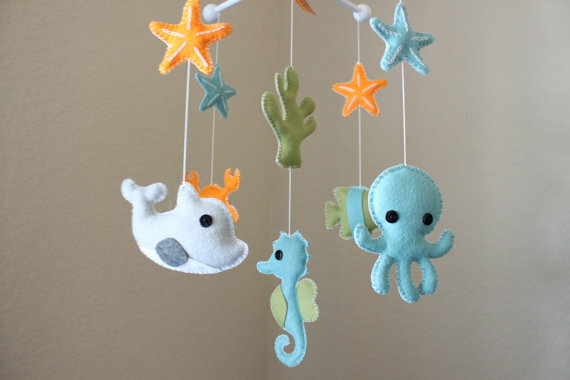 whatever you think your baby will like. 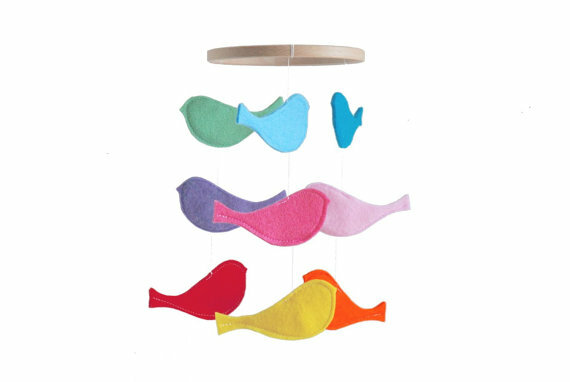 We love the sweet simplicity of this mobile: A flock of wool-blend felt birds in a rainbow of hues floats from a clean-lined wooden hoop and adds cheery color to your babe’s space. 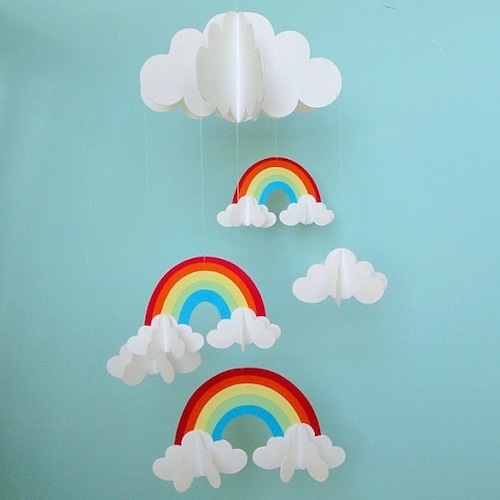 Because it’s made from card stock, this lightweight mobile featuring rainbows and clouds seems to float in the sky. 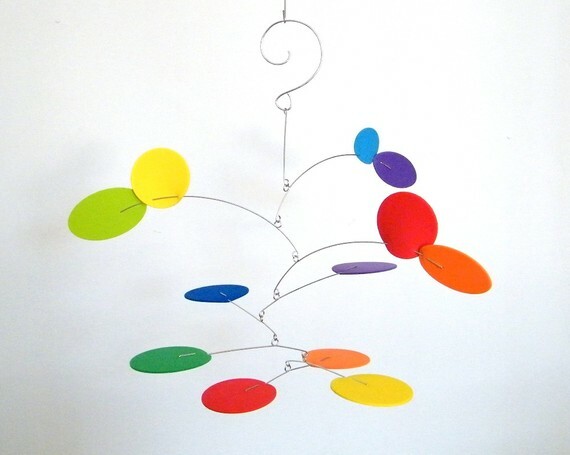 We love including real art in the nursery, and this Alexander Calder-inspired mobile made of colorful foam and aluminum wire fits the bill perfectly — and adds substance, style and bright color to your baby’s nursery. 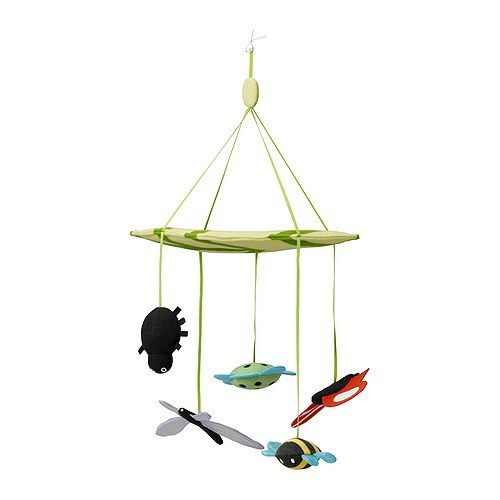 We love this mobile’s cute winged critters, its high-contrast colors, and its uber-affordable price tag: Just $5! 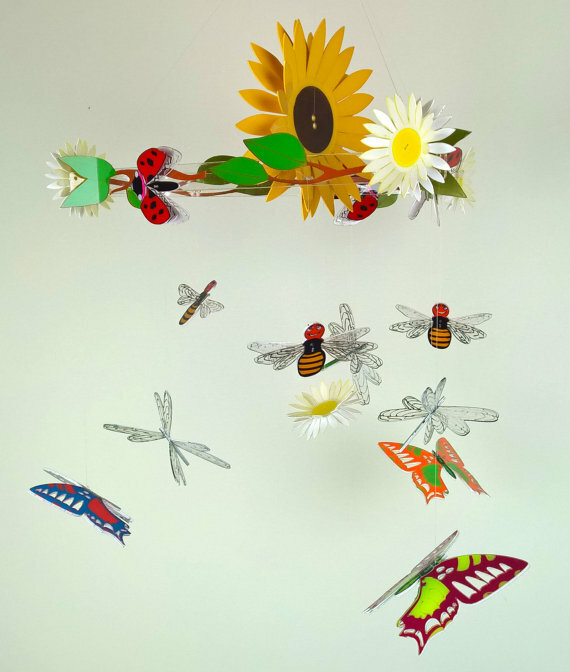 Whether you’ve got super-high ceilings, or just want to give baby a different perspective, this wall-mounted flower themed mobile is a mod option for your little bird. We love the fact that it’s BpA-free, Phthalate-free and PVC-free. 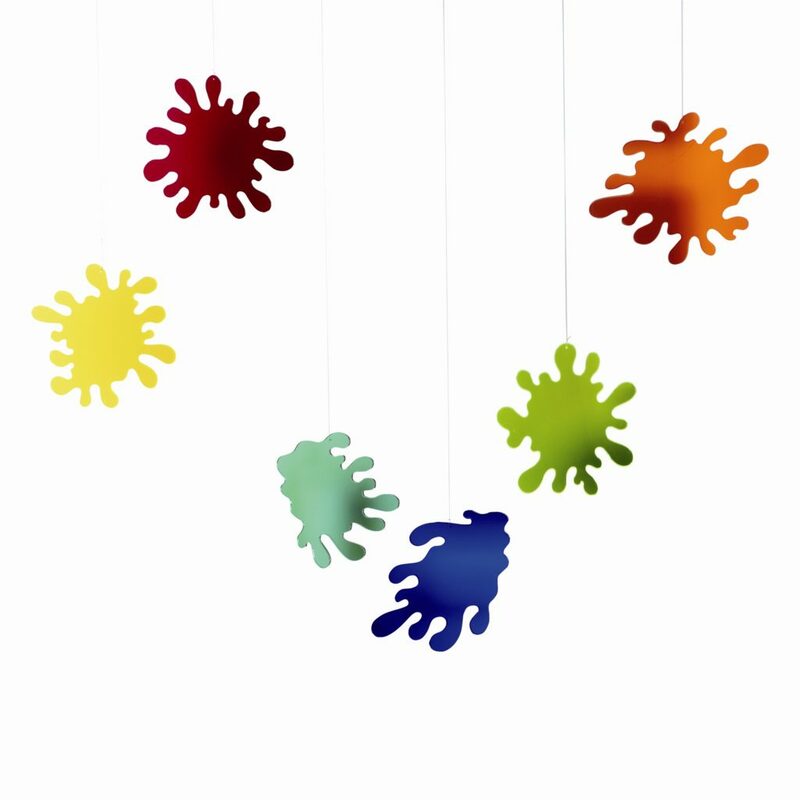 Hang this artsy mobile by a window, and the paint-drop splashes of translucent Plexiglas will bathe baby’s room with colored light. 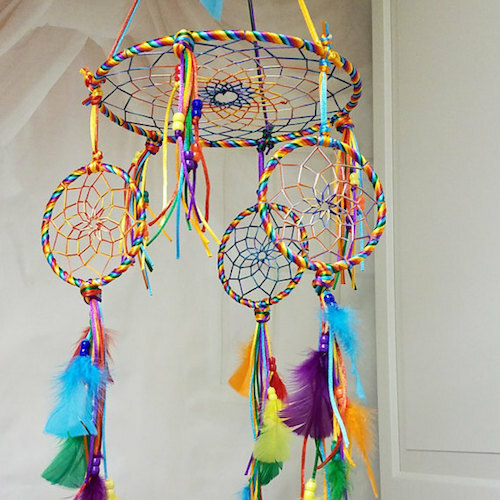 We love the amazing color blast of this gorgeously unique rainbow mobile, as well as the construction and design that allows for easy-breezy movement. 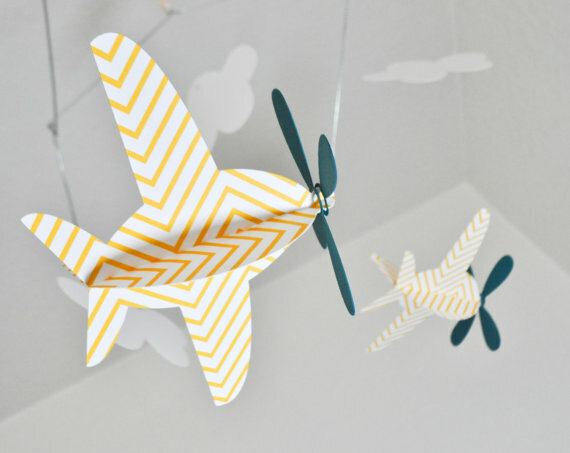 Our pick for the modern, not-overly-cutesy nursery. 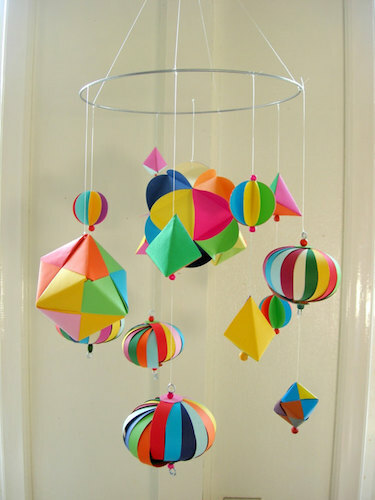 This mobile, which features geometric shaped paper ornaments in chic, contrasting colors suspended from a thin metal frame. 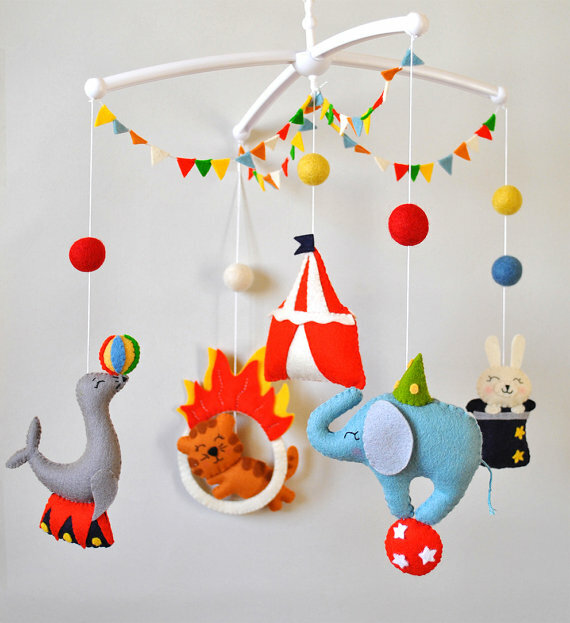 Bring the big top to baby with this whimsical, super plush circus-themed mobile to give a Disney spirit in the air. Three frolicking animals get a lift from a bouquet of bright balloons. Love!